LOS ANGELES (GaeaTimes.com)- The legendary singer Michael Jackson’s single “Hold My Hand” form his posthumous album “Michael” officially released on his website on Monday. All the fans of King of Pop are scrambling on web to hear the newest single form his album. The song also features R&S star Akon who gave leads on the verses and choruses. Though the song has received wide appreciation from the listeners but Black Eyed Peas’ singer will.i.am said that the songs in the album “Michael” are unfinished and they show disrespect to the King of Pops. Michael Jackson’s official single “Hold My Hand” starts with the King of Pop singing “This life don’t last forever” where the singer asks everyone to be together than being alone and miserable. “Ghetto” singer Akon recently went to the studio to give final touches to the song said that he recorded the song with Michael Jackson back in 2007 but it was not released then because of certain issues. 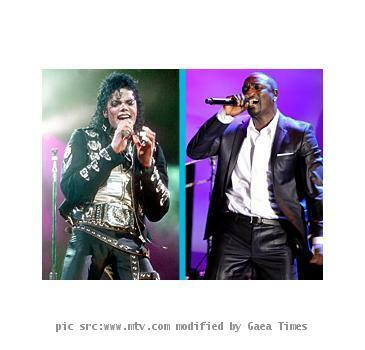 While speaking about the “Thriller” singer, Akon said that the whole experience of recording with Michael Jackson was like a dream come true for him. He said that while recording the song in the same room he felt like he has achieved everything he wanted to achieve in his life. On the other hand, Black Eyed Peas’ singer will.i.am said that Michael Jackson was not an ordinary artist and the to him Micheal Jackson’s posthumous album is “disrespectful” and he finds “no honoring” in it. will. i. m said that Micheal Jackson’s songs can be called finished when the King of Pop says so. Despite all the criticisms both ‘Breaking News” and “Hold My Hand” received, Micheal Jackson’s fan are waiting in anticipation for the release of his album “Micheal” on December 14.